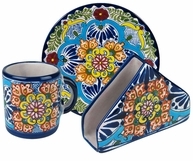 The Talavera dishware section below will have matching colors and patterns. 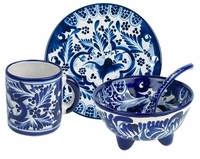 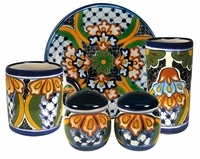 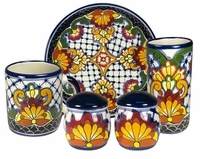 Find plates, dishware, tableware and more to make the perfect Talavera sets for your dining and kitchen decor. 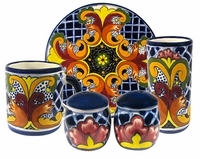 Click on the pattern groups below for details and ordering. 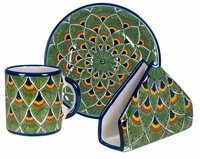 The Peacock Pattern Has Been Discontinued.